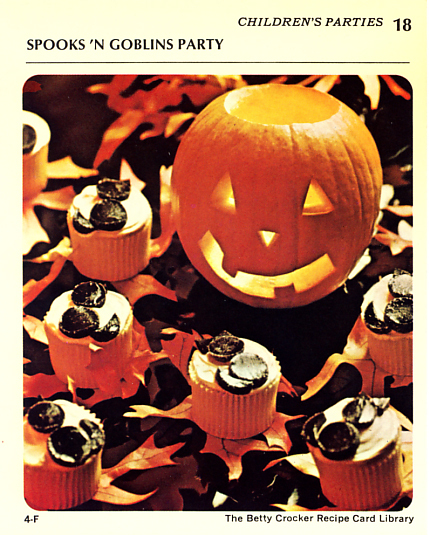 Pro tip: Serve Witches’ Cauldron Soup with the recipe for Black Cat Cupcakes on the back of the card. What, didn’t they have bacon in 1971? 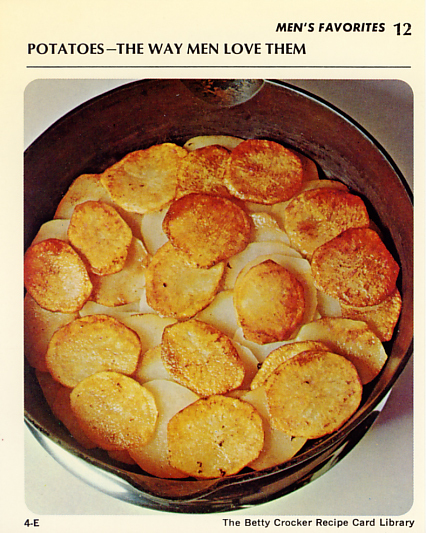 Although, I cannot argue with a recipe containing potatoes, onion, butter and oil. I’ll just pretend it says bacon (or chicken) fat. Also bonus points for hash browns, not home fries. Black Cat Cupcakes. Mmmmm. I mean Boooooo. I mean Happy Halloween! The Fall Classic is in full swing. The Cubs are in the World Series. This is the Have A Ball! 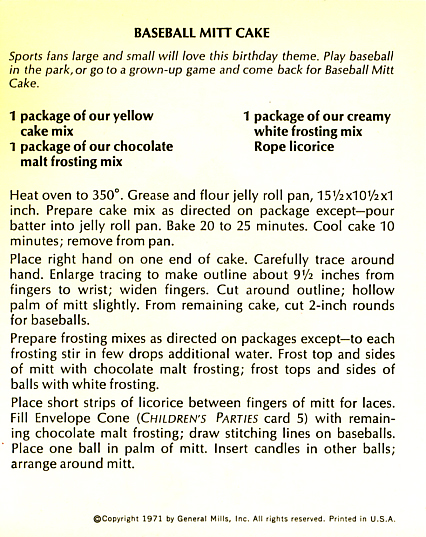 Baseball Mitt Cake from Betty Crocker Recipe Card Library. 1971. You think that was a long time ago? Last time the Cubs were in the World Series it was 1945. 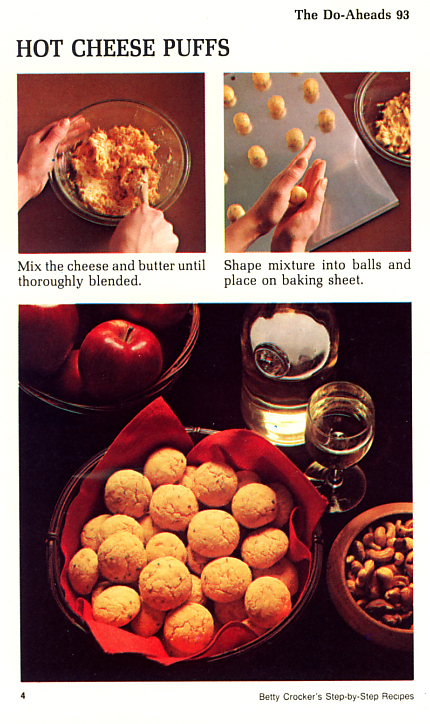 From 1975: Betty Crocker Hot Cheese Puffs recipe card. The flip side has the step-by-step process. Read on to see it… and the results from now! 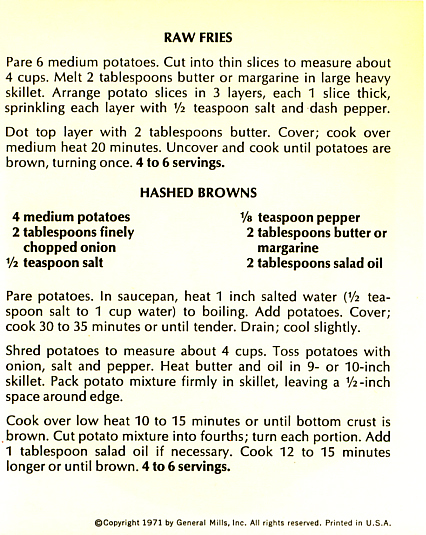 The Betty Crocker Cookbook is an icon. While it won’t look quite as good sitting on the kitchen shelf (or maybe it would), Betty is making her recipes available to go. The press release follows, including a link to the download site. 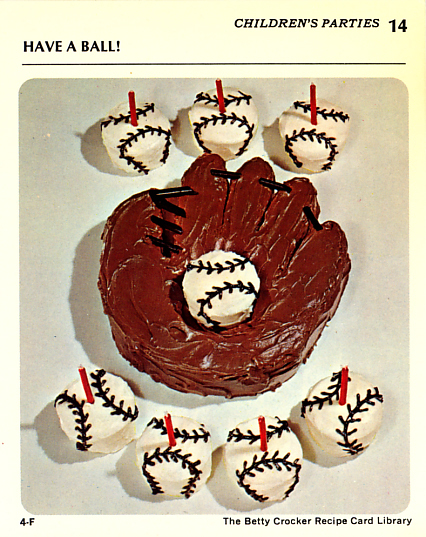 And if you’re feeling old school, check out the Betty Crocker’s Picture Cookbook (1950 Classic Edition).